AccuWeather, established in 1962, is the World's Weather Authority. We provide local forecasts for everywhere in the United States and over two million locations worldwide. We also provide our products and services to more than 175,000 paying customers in media, business, government and institutions. Our headquarters in State College, PA, is home to the greatest number of forecast meteorologists in one location anywhere in the world. 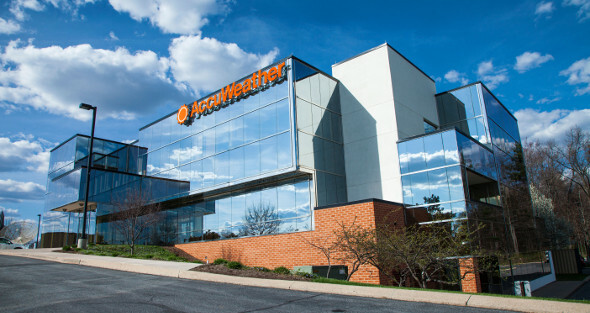 AccuWeather's operation is housed in its Global Headquarters, a 52,000 square foot facility built on 6.5 acres of land near State College, PA. AccuWeather spent several years designing its headquarters, incorporating many features that enable us to serve our clients even better than ever. Some of the highlights include redundant computer facilities, on-site UPS and power generation, 23 radio booths and a TV studio. The dramatic operations room is larger than two basketball courts, and with a 21-foot high ceiling, it enables AccuWeather meteorologists, graphic artists, editors and operational support staff to interact together as integrated teams. The headquarters' state-of-the-art design and equipment enables AccuWeather to provide the most reliable and accurate weather information well into the new millennium. AccuWeather Enterprise Solutions, Inc., an AccuWeather company, specializes in weather-risk management consulting and state-of-the-art weather forecasting and services to utility, transportation, manufacturing, educational and governmental clients throughout the U.S., Canada and Mexico. To save lives, protect property, and help people to prosper, while expanding AccuWeather as a healthy and profitable business. To be the world's best and most-used source of weather information. AccuWeather leadership includes many individuals who have been recognized for their service to the profession of meteorology. Dr. Joel N. Myers, Founder, President and Chairman of AccuWeather, has been recognized by Entrepreneur Magazine as one of the greatest entrepreneurs in American history. He is a proven visionary leader, founding the company in 1962 and successfully establishing and guiding AccuWeather to become the largest and fastest growing weather media and business company in the world. Dr. Myers is considered the nation's most respected source on the business of meteorology, having been named "the most accurate man in weather" by The New York Times. He has frequently appeared on national programs such as ABC Nightly News and Larry King Live and has written and delivered hundreds of scientific papers and articles that have appeared in leading publications including Scientific American and The Journal of Applied Meteorology, and has been quoted in Time, Businessweek, and thousands of other publications. He has received many awards in the meteorological community, including recognition as a Fellow of the AMS and American Meteorological Society. Dr. Myers is a sought out expert in international business and digital media. He has given thousands of speeches over a range of subjects and has been hailed for achievements in the U.S., Japan, and many other countries. He has been an invited lecturer at The New York Academy of Sciences and many scientific, leadership, and charitable organizations. He has also been an important force on the Penn State Board of Trustees for 33 years and continues to serve as an Emeritus Trustee, demonstrating his lifelong commitment to education. Dr. Myers donates his time and resources and is committed to giving back, including a multi-million dollar gift to Penn State for The Joel N. Myers Weather Center, a state-of-the-art teaching facility. In addition, he supports American Cancer Society and many additional causes. A successful, inspiring leader, Dr. Myers continues to champion global business growth at AccuWeather while helping others. Barry Lee Myers has been an integral part and leading force of the AccuWeather executive management team for several decades. Since Myers became CEO in September 2007, the company has weathered the recession and posted the highest grossing years and the largest global web and mobile audience growth in its history. As CEO, Myers directs AccuWeather's strategic initiatives and develops many of its acquisitions, major business relationships, and groundbreaking opportunities. He was previously the company's Executive Vice President and General Counsel. In addition, he served on the Graduate School faculty at The Pennsylvania State University for 18 years as a member of its nationally recognized Smeal College of Business. Myers has been a member of the Board of Directors of the American Weather and Climate Industry Association, the weather industry's trade association, since 1990, serving as the industry's chief government-relations officer. He has served as advisor to the Director of the U.S. National Weather Service at the U.N.'s World Meteorological Organization Meetings in Geneva on several occasions and is currently advisor to NOAA. He has also been an invited speaker at the World Meteorological and the World Federation of Scientists. He is a Professional Member of the American Meteorological Society, and serves on the boards of the American Weather and Climate Industry Association and the Weather Coalition. In January 2015, the AMS presented Myers with its Kenneth C. Spengler Award in recognition of his "outstanding, highly principled leadership of the American weather industry over five decades and fostering strong cooperation between private sector and government weather services." He has been a featured speaker at many mobile, television and advertising conferences. Myers received his B.S. in business administration and economics his master's in business (ABD) from the Smeal School of Business at The Pennsylvania State University. He holds a J.D. from the Boston University School of Law. Michael R. Smith, CEO of WeatherData Services, Inc., an AccuWeather Company, is a Fellow of the AMS. In 1992, he won the American Meteorological Society's Award for Outstanding Contribution to Applied Meteorology and shared in WeatherData's 2000 Award for Outstanding Service to Meteorology by a Corporation. He is a recipient of five United States patents, with four other U.S. and foreign patents pending. Dr. Joe Sobel joined AccuWeather in 1972 and currently serves as AccuWeather Senior Vice President. He was recognized in 2004 by the AMS for Outstanding Service as a Broadcast Meteorologist. Dr. Sobel holds a United States patent as a co-inventor of the AccuWeather RealFeel Temperature. Elliot Abrams began work at AccuWeather in 1967. Currently AccuWeather Chief Forecaster and Senior Vice President, he is one of only a few living persons who have earned both the title of Certified Consulting Meteorologist and the AMS Seal of Approval for both radio and television from the American Meteorological Society. He is a member of the AMS Board of Certified Consulting Meteorologists, a Fellow of the AMS, and winner of the 1993 AMS award for Outstanding Service by a Broadcasting Meteorologist. In 1996, the National Weather Association named Abrams "Broadcaster of the Year." In 1994, he won the AMS Charles L. Mitchell Award for "outstanding and unique dissemination of weather forecasts to the nation's public by radio and television." Elliot is also a co-inventor of the AccuWeather RealFeel Temperature. On November 15, 1962, Joel N. Myers, then a graduate student at the Pennsylvania State University, began forecasting the weather for a gas utility company in Pennsylvania. He not only had a firm grasp of weather patterns, but he also had insight into the impact of the weather on businesses and people, and how accurate forecasts could improve their ability to plan for, and cope with, the weather. As Myers worked on his M.S. and then Ph.D. in meteorology from Penn State, his customer base grew to include other businesses and government agencies. The first ski area was served in 1963, and the first forensic customer in 1965. In 1967, the first government agency subscribed to the Snow Warning Service™, and services customized for fuel oil dealers and construction companies began in 1968. Through the 1960s and into 1971, in addition to his meteorological consulting business, Myers taught full-time at Penn State, conducted research, did television weather broadcasts, and worked on his Ph.D. During this time, Myers' service continued to be a small winter seasonal forecasting boutique, providing custom forecasts and warnings to highway departments, utility companies, construction companies, ski resorts, and other weather-sensitive businesses and agencies. The first use of the AccuWeather® brand name occurred in November 1971, as the company expanded its operations to a year-round service. The first radio station to be served by AccuWeather was WARM-AM in Wilkes-Barre/Scranton, PA, and the first television station served was WPVI-TV in Philadelphia, in 1972. Indeed, of the first seven broadcast stations served by AccuWeather in the early 1970s, five of them are still customers today, more than 30 years later - a record of loyalty and success rarely encountered in the broadcast media. 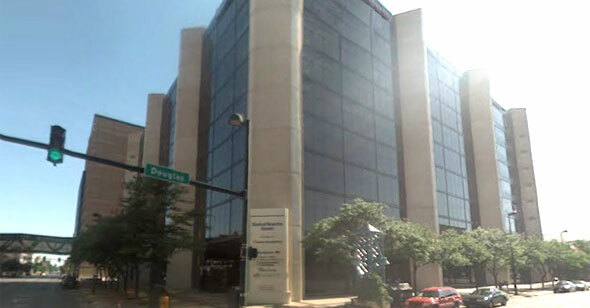 WSBA in York, PA, made AccuWeather its weather source largely in response to our success forecasting the floods from tropical storm Agnes for their sister station, WARM. AccuWeather meteorologists predicted devastating flooding in Wilkes Barre, PA, before the National Weather Service issued warnings. Until that time, warnings were based only on precipitation that had already fallen. AccuWeather based its forecasts on observed plus additional predicted rainfall amounts, a procedure later incorporated into NWS operations. 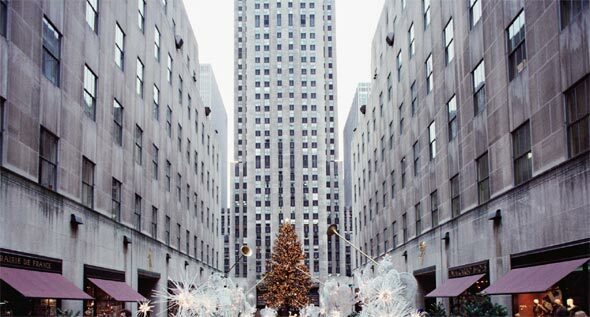 WINS in New York City (now the most listened to radio station in the United States) was another early radio customer. In AccuWeather's early days, radio broadcasts were transmitted over ordinary telephone lines out of a carpeted closet that was converted into a studio. Today, all broadcasts originate in one of our 18 digitally equipped broadcast studios, and most stations receive live reports via digital lines, with recorded forecasts transmitted over the internet as MP3 or WAV files. AccuWeather's participation in the television marketplace has been marked by a long history of innovation. In 1975, AccuWeather was the first to introduce seven-day local forecasts for television, and we began offering ready-for-air color television weather graphics in 1983In 1986, AccuWeather began satellite delivery of ready-for-air satellite, radar and weather graphics. AccuWeather became a full-fledged video production facility in 1998, when it added video uplink, studio, and control room capability supporting WeatherTeam Live™ video programming. In the late 1980s, AccuWeather's television offerings were expanded to include graphics systems, beginning with the introduction of the Amiga Weather Graphics System™ in 1987. In 1989, AccuWeather introduced UltraGraphix™, a solution for ultra-high spatial and color resolution in ready-for-air graphics. It was followed in 1992 by the UltraGraphix Animator™, based upon PC technology. In 1995, AccuWeather introduced VirtualWeather™ FlyThru® animations, now a staple of television weather presentations. 1996 saw the debut of the SGI-based UltraGraphix ULTRA Weather System™, which won the prestigious "NAB Pick-of-Show" award for "advancement in the art and science of television broadcast." The UltraGraphix ULTRA was in turn supplanted in 2001 by the Galileo® Weather System, the industry's first PC-based high-end professional weather graphics system. Galileo's speed, ease of use and eye-catching graphics quickly propelled it to a record pace for adoption by television stations. Along with our graphics systems, we have offered television stations a series of specialized devices and services. The FirstWarn® Screencrawler™, introduced in 1992 and subsequently enhanced several times, offers television stations a platform to quickly air critical watch and warning information, while the FirstWarn Neighborhood Doppler™, introduced in 1999, offers stations the best value in a street-level, storm-tracker radar system. AccuWeather began to supply turnkey weather solutions to cable channels in 1996, with the introduction of Local Cable Weather™. This is also the system that was utilized by PennDOT at welcome areas and rest stops on major highways throughout the Commonwealth. Significantly enhanced in 2000 as Local Digital Weather™, the system was soon on the air as the Local AccuWeather Channel™ for WFMZ-TV. In 2003, AccuWeather posted yet another milestone as the first vendor to provide native high definition weather via our Local Digital Weather HD system and service. This new technology went on air immediately with Cablevision's VOOM direct broadcast satellite network. In 2005 AccuWeather introduced 24/7 local weather channels for television stations and other customers under the name Local AccuWeather Channel™. These new channels included video and graphics from AccuWeather and/or the television stations, with a separate video window and an L-bar consisting of three graphic windows. The ABC Television Group became the first group to sign up for this service, on August 31, 2005. AccuWeather - which first began to serve newspapers in 1974 - has led the way in applying technology to the production of newspaper weather presentations. In 1983, AccuWeather began transmitting weather data and text directly to newspapers' type-setting computers, and AccuWeather pioneered the electronic delivery of complete weather pages for newspapers in 1986 with its MacWeather® service, the first electronic delivery of any kind of page to newspapers. In 1987, AccuWeather introduced electronic color newspaper weather pages, the first color pages of any kind transmitted to newspapers. After 1991, these pages were transmitted directly to newspapers' front-end printing systems. By the end of the 1990s, AccuWeather was the undisputed market leader in supplying newspaper weather pages to newspapers who outsourced their weather presentation. AccuWeather has excelled since its earliest days in the application of successive generations of technology to the delivery of weather information. For example, in 1972, AccuWeather introduced the transmission of weather graphics by telecopier, the first primitive fax machines. Subsequent delivery vehicles have included electronic bulletin boards, pagers, wireless devices, the Internet, email, FTP download, cell phones, and satellite delivery - each an example of AccuWeather's commitment to delivering customized, highly localized weather information in the format most useful to the customer. AccuWeather was an early leader in utilizing digital distribution of weather information. In 1979, AccuWeather bought its first computer in order to automate the delivery of data and weather maps to our forecasters. We then realized that people and businesses with personal computers could access information via modem, and began to develop a state-of-the-art, computerized meteorological database for use by thousands of federal, state and local government agencies, businesses, aviators, educators, mariners, meteorologists, weather hobbyists, and other subscribers. As early as 1984, AccuWeather had introduced the AccuData® weather database, and AccuWeather's weather information became available on Trintex (the precursor to Prodigy, one of the two pioneering general-public databases) in 1986 and on CompuServe (the other pioneering database) in 1990. In 1993, AccuWeather Forecaster™ access software and its use of AccuData® were named as one of the top 10 things to do with a computer by Discover Magazine. Along with the database, AccuWeather developed a program for education called OnLine With AccuWeather®, which included educational modules, teachers' guides and student workbooks; and which won several awards as one of the nation's top online curriculums. AccuData® is still used today by a number of AccuWeather customers, as well as serving as an infrastructure for portions of AccuWeather's intranet and internet sites. AccuWeather was first granted internet access in 1992, back when, in order to gain access, we first had to get letters of support from some of our federal government customers. We began to offer weather information over the internet in 1995, selling content to internet sites with the development of the AccuNet® and netWeather™ Internet services. AccuWeather.com® first appeared on the internet as a free site in 1996 and was followed the next year by the introduction of our first premium site, and by the launch of AccuWeather.com Professional in 2003. Always an innovator in the communication of weather information, AccuWeather.com launched streaming video in 2000, followed by the AccuWeather.com Desktop™ bug in 2002, and a variety of gizmos in 2005. AccuWeather's unique content offerings, ranging from Hour-by-Hour™ forecasts for one million locations to RadarPlus® predictive radar, were soon being viewed on more than 1200 websites, with millions of unique users visiting AccuWeather.com itself each month. By late 2005, AccuWeather.com had served over five billion page views since the site's launch. In 1997, AccuWeather introduced WeatherPager®, an alert service issued to pagers. AccuWeather continued to expand its offerings in the arena of proactive electronic notification with the addition of AccuWeather.com Alert™ email services in 2001. AccuWeather began service to PDAs and cell phones in 2002 and, in 2003, AccuWeather's graphical weather content for wireless devices won the "Best of Show" award at Internet World Essentials. This technological and informational excellence soon propelled AccuWeather to the leading market position among wireless weather providers in the United States. Verizon's V-CastSM service, introduced with ads in the 2005 Super Bowl, features AccuWeather as its exclusive weather provider. Today, AccuWeather content is available from nearly all of the major cell phone service providers, and we continue to innovate with services for new handsets, streaming video broadcasts, and enhancements to our existing services. Through the years, AccuWeather has also developed numerous forecasts geared to the specific needs of various niche and specialized users. For example, the company currently offers customized forecasts and warnings for utilities, highway departments, school districts, agriculture, boaters, hotels, construction, golf tournaments, emergency management agencies, and many more categories. AccuWeather has a long history of innovation for transportation companies. Temperature band maps are now taken for granted, but these maps did not exist until AccuWeather developed them and sent them to trucking companies by telecopier in 1972. Later, AccuWeather introduced the first forecasts geared specifically to interstate highways and other major trucking routes. Among the other important innovations developed for commercial customers were the Window of Movement™ display (now called Forecast Eye Path™), developed in 1981 for our hurricane / tropical storm warning customers, and the first graphical representation of the forecast path of tropical storms. The AccuWeather Fax™ product, introduced in 1992, put the AccuWeather forecast on the front desks of 2,000 hotels across the country. 1-900-Weather, introduced by AccuWeather in 1989 under sponsorship of American Express, was the first weather forecast service that used audiotex technology, combining prerecorded words and phrases to create the audio forecasts. The version of this service we created for AccuWeather, AccuCall 2000™, won the "1994 Golden Phone" award as the best general news service available by telephone. In 2005, our innovative use of GIS (Geographic Information Systems) was recognized with the first ESRI Special Achievement in GIS Award ever awarded to a weather company. One of our important products, The AccuNet™/AP® Multimedia Archive, is not related to weather, but was inspired by and a result of our relationship with The Associated Press and our history in serving educational institutions. With this service, we are the exclusive online provider of the AP's photo, graphics, audio and text archives to universities, colleges, schools and libraries. AccuWeather has been a leader in developing new weather metrics and communications tools to inform its customers about weather events. In 1994, AccuWeather introduced its current and forecast Ultraviolet (UV) Index, as the world's first local UV Index available with current and hour-by-hour forecasts. In 1997, AccuWeather developed the patented Exclusive AccuWeather RealFeel Temperature™. This year-round measure of how temperature is really perceived supersedes the outmoded and misleading wind chill and heat indices. In 1997, AccuWeather also introduced 10-Day Hour-by-Hour™ forecasts for 55,000 cities, and subsequently extended this capability to fifteen days, with worldwide coverage for more than one million locations. In 2002, AccuWeather invented the patent-pending AccuPOP™, the first multi-period three-hour probability of precipitation, and in 2004 AccuWeather initiated the patent-pending StormRisc™, a clear and succinct summary of severe weather threats. In 2004, AccuWeather introduced new tropical weather symbols and terminology, in order to better convey to the public the potential hazard of tropical systems, even after they are downgraded from hurricanes and tropical storms. In 2005, AccuWeather introduced several new weather indices for specific advertisers, including the Arthritis Index and Flu Index. AccuWeather served a small number of international customers in the 1970s, mainly Canadian radio stations and snow warning customers. Our international services have grown to the point where today we serve customers around the world, providing forecasts of weather and crop progress for agricultural commodities, worldwide energy usage forecasts, and forecasts for the world's major ports and shipping areas. AccuWeather graphics systems and services are used by television stations from the Philippines to the Middle East to South America. We also provide weather pages for newspapers around the globe, and have added many newspaper customers in Canada and the U.K.
First client served - a Pennsylvania utility. First government agency served with Snow Warning Service™. First AccuWeather radio station signs on (WARM, Wilkes-Barre/Scranton, PA). First use of the AccuWeather® name. First television station - WPVI-TV in Philadelphia signs up for Exclusive Forecast/Briefing Service™. AccuWeather introduces weather graphics by fax. AccuWeather introduces 7-day local forecasts for television. AccuWeather installs AccuWeather Weather Analysis Computer System™ (ACCU/WACS™) computer systems. AccuWeather develops USA Today weather page. AccuWeather is the Official Weather Forecaster for the World's Fair at Knoxville, Tennessee. AccuWeather introduces ready-for-air television weather graphics. AccuWeather begins worldwide forecast service. AccuWeather transmits weather data and text directly to newspapers' type-setting computers. AccuWeather introduces AccuData® weather database. Develops aviation and education products. AccuWeather begins production of color satellite images. AccuWeather begins satellite delivery of ready-for-air satellite, radar, and weather graphics. AccuWeather becomes an Apple® developer. Begins producing The Associated Press® weather maps and operating the AP Access computer system. AccuWeather introduces MacWeather® newspaper graphics. AccuWeather introduces electronic newspaper weather pages. AccuWeather introduces the new radar display, RadarPlus™. AccuWeather begins service to Prodigy. AccuWeather distributes Reuters Olympic graphics to newspapers all around the world. The AccuWeather Forecaster™ software introduced. AccuWeather introduces new television graphics system. AccuWeather introduces electronic color newspaper weather pages. AccuWeather introduces UltraGraphix™, ultra-high spatial and color resolution ready-for-air graphics. AccuWeather acquires WeatherScan International® Corporation, located in Oklahoma City, OK.
AccuWeather introduces lightning data and graphics. AccuWeather begins service to CompuServe. On-Line with AccuWeather™ named a top educational product by Curriculum Administrator for first of three times. AccuWeather begins 900 Service Bureau and offers weather, InstaSports™, and 15 other features. AccuWeather transmits weather pages directly to newspapers' front end printing systems. Begins automated fax service, AccuWeather Fax™. AccuWeather President, Dr. Joel N. Myers, wins The PA Association of Broadcasters, Pride in Pennsylvania Business Award. AccuWeather introduces FirstWarn™ weather warning system. AccuWeather introduces the UltraGraphix Animator™ computer system. AccuWeather develops event-driven automated fax service. AccuWeather reaches agreement with Unisys to acquire real-time NEXRAD Doppler radar data. AccuWeather introduces AccuWeather Data Link™ energy management software and data AccuAccess for Windows™ software introduced. AccuWeather reaches agreement with Telemet® for representation in portions of South America. In recognition of AccuWeather's 30th anniversary celebration, November 15, 1992 was proclaimed AccuWeather day in PA.
AccuWeather introduces UltraGraphix-PLUS™ 32 color-bit graphics. AccuWeather's AccuCall® 2000 wins the Golden Phone Award as the best "general news" service available by telephone. AccuWeather Senior Vice President Elliot Abrams wins the 1993 American Meteorological Society (AMS) Award for Outstanding Service by a Broadcast Meteorologist. AccuWeather Forecaster and its use of AccuData® named as one of top 10 things to do with your computer by Discover Magazine. AccuWeather introduces the UltraGraphix-32 Weather System™. The AccuWeather Center™ named a top educational product by Curriculum Administrator. AccuWeather Senior Vice President Elliot Abrams wins the 1994 AMS Charles L. Mitchell Award for "outstanding and unique dissemination of weather forecasts to the nation's public by radio and television." AccuWeather is the first company to offer direct ingest GOES-8 satellite images and GOES-7/GOES-8 mosaics. AccuWeather introduces current and forecast UltraViolet (UV) Index. AccuWeather introduces AccuNet® and netWeather™ Internet services. AccuWeather introduces VirtualWeather™ FlyThru® animations. AccuWeather introduces StormPath™ and StormTimer™ radar forecasts. AccuWeather acquires TotalWeather® Corporation located in Minneapolis, MN. AccuWeather is the first company to offer direct ingest GOES-9 satellite images and GOES-8/GOES-9 mosaics. AccuWeather introduces Local Cable Weather™. AccuWeather introduces The UltraGraphix ULTRA Weather System™ in conjunction with Norway's Metaphor Systems®. AccuWeather for Windows™ software introduced. AccuWeather acquires WeatherSource® Corporation located in Montgomery, AL. UltraGraphix ULTRA Weather System™ wins "NAB Pick-of-Show" award for "advancement in the art and science of television broadcast." AccuWeather Sr. Vice President Elliot Abrams wins the National Weather Association's "Radio/TV Broadcaster of the Year" award. AccuWeather introduces AccuWeather.com® on the Internet. RadioShack® and AccuWeather introduce Home Weather Station. The Exclusive AccuWeather RealFeel Temperature™ introduced. 10-Day Hour-by-Hour™ forecasts available for 55,000 cities. AccuWeather purchases Widespread Weather Services® business, introduces WeatherPager™ service. AccuNet™/AP® Photo Library offered to schools and libraries. AccuWeather Chief Meteorologist Elliot Abrams co-authors a college-level textbook, Meteorology. AccuWeather Founder and President Dr. Joel N. Myers honored as one of the 528 greatest entrepreneurs in American history with his biographical inclusion in Entrepreneur Magazine's Encyclopedia of Entrepreneurs. AccuWeather receives "Outstanding Job Generator Award" from the Chamber of Business and Industry of Centre County, PA.
AccuWeather moves into new 52,000 sq. ft. World Headquarters. AccuWeather President Dr. Joel N. Myers named "Entrepreneur of the Year" by Central Pennsylvania Business Daily. Aviation Internet site, including on-line flight plan filing with the FAA, available at PilotWeather.com™. AccuWeather adds video uplink, studio, control room, launches WeatherTeam Live™ video with MSNBC. AccuWeather introduces Neighborhood NEXRAD™ storm-tracker, street level radar system. Streaming video launched at AccuWeather.com. ULTRA LocalCast™ provides the most localized forecast displays. AccuWeather introduces Local Digital Weather™. Local AccuWeather Channel™ launches with WFMZ-TV. AccuWeather introduces Galileo™ Weather System. AccuWeather.com introduces Desktop™ and Mobile™. AccuWeather offers Hour-by-Hour™ forecasts for one million locations. Of first seven stations that signed on in 1971-1972, five are still being served (30th Anniversary celebration for WARM in 11/01, WPVI-TV 11/02). One billionth free page accessed on AccuWeather.com. AccuWeather acquires OnlineWeather, a UK-based weather company. AccuWeather acquires newspaper divisions of WeatherData, Inc. and Meteorlogix, LLC. AccuWeather provides content onto more than 600 websites; more than 6 million unique users each month on AccuWeather.com. AccuWeather's 85 meteorologists are the greatest number of operational forecasters at one site anywhere on earth. Galileo becomes industry's best-selling weather system. AccuWeather's graphical weather content for wireless devices wins Best of Show award at Internet World Essentials. AccuWeather is first to provide native HD weather with service to Cablevisions's VOOM. Elliot Abrams named AMS Fellow. Three billionth free page accessed on AccuWeather.com. AccuWeather expert meteorologists provide updates on national media outlets during the historic Florida hurricane outbreak. AccuWeather adds AccuWeather.com Premium v3.0 to its award-winning lineup of cell phone applications. AccuWeather introduces the world's first 4-hour Predictive Radar™. AccuWeather launches the redesign of its highly popular website, AccuWeather.com. AccuWeather launches Local AccuWeather Channel™, signs ABC to launch in ten markets, including the top five. Local AccuWeather channel launches in an additional ten markets, including Houston, Los Angeles, and New York City. AccuWeather introduces ClearDecisions™ statistical ensemble forecasting web tool. Acquires WeatherData, Inc. of Wichita, KS, the leader in user-centric severe weather warnings. Recognized by Congressional Committee for warning the public of Katrina's threat to New Orleans a full twelve hours before the National Hurricane Center. Offers weather and news content for digital signage applications. Introduces arthritis, flu and asthma health indices. CinemaLive HD™ weather display system launched. Launches EnergyPro™ web site featuring daily commentary by meteorologist Joe Bastardi. Launches SelectWarn® 2.0 severe weather display system. Local AccuWeather Channel™ available in 48 markets. Barry L. Myers named AccuWeather Chief Executive Officer. AccuWeather launches enhanced Level 2 Doppler Radar. Ten-billionth page accessed on AccuWeather.com. AccuWeather.com Mobile one of the top ten mobile sites. AccuWeather received five Telly Awards for videos produced.